During the winter months, there's nothing better than amazing drink recipes to keep you toasty in your apartment in Dallas. 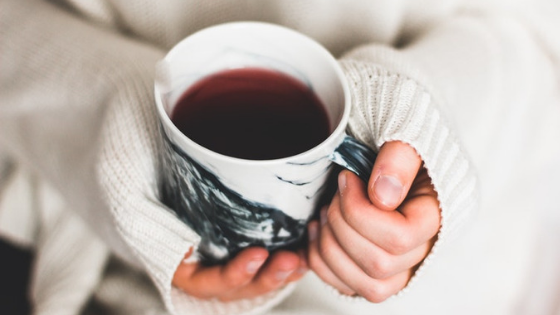 With warm drinks, you can heat up your core temperature and stay comfortable through the cold season. You can make the three following drinks while enjoying a quiet night at home or serve them to your guests when they visit. Here’s what you need to know to create these warm beverages. When ice cream meets cocoa, everybody wins. To make the cocoa, you'll need 1 cup of milk for each person you want to serve. For every cup of milk you use, add three teaspoons of cocoa powder, two tablespoons of sugar, a pinch of salt and 1/4 teaspoon of vanilla extract. Mix and place over medium heat until hot. Add a scoop of your favorite ice cream and allow it to melt to elevate the flavor of your cocoa. Butterscotch eggnog takes a while to make, but it is definitely worth the effort and doesn't have to be reserved exclusively for the holidays. Start by separating eight eggs and whisking the egg whites on high speed until soft peaks form. Add 1/3 cup of light brown sugar, mix to combine, and then transfer to a new bowl. Add the egg yolks and sugar to the prior bowl, then mix. Mix in three cups of warm whole milk, two cups of warm heavy cream and two teaspoons of vanilla. Fold the egg whites into the yolk mixture, and then heat until warm. Sprinkle nutmeg over the top to finish this amazing drink. With the right spices, you can create incredible sweet chai lattes to enjoy on cold days. To make this drink, warm two cinnamon sticks, a pinch of black peppercorns, 12 whole cloves, six cardamom pods and a piece of ginger in a saucepan. Pour water over the spices and steep the bags of black tea until done. Add sweetener, strain and pour into mugs. Top with frothed milk to complete this drink. If you would like to learn how you can enjoy a warm beverage from the comfort of an upgraded Dallas apartment home, contact our team at the Gramercy on the Park at 866-350-7648.